Detectives are appealing for witnesses following the report of a burglary at a house in the area of Maybrook Mews area of Derry on Thursday last, February 22. The incident in the Pennyburn area is among the latest in a string of burglaries at homes across Derry over recent weeks and months. In an appeal issued overnight, PSNI Detective Sergeant Reid said: “It was reported that sometime between 4.00pm and 8.00pm entry was gained to the property and a sum of cash and jewellery including gold rings, chains and earrings stolen. 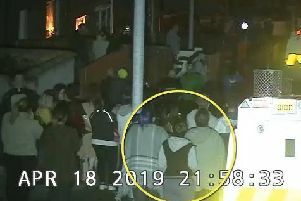 “Detectives are appealing to anyone that may have witnessed any suspicious activity in the area during the past week to contact Detectives in Strand Road on 101, quoting reference 1291 22/2/18.